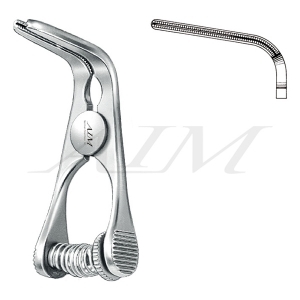 DeBakey Cross-Action Bulldog Clamps are a highly versatile and useful instrument for use in cardiothoracic surgeries. 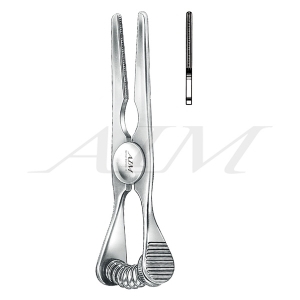 This surgical instrument is designed to temporarily occlude blood flow in large blood vessels such as major peripheral arteries. 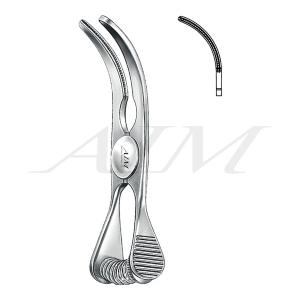 This clamp features a ribbed surface to maintain grip as well as a zig-zag type fit of the clamp's jaws to which coupled with the cross-action mechanism ensures little to know slippage.